€2,950 pcm. Apartment Rented Minimum Rental Period: 12 Months. 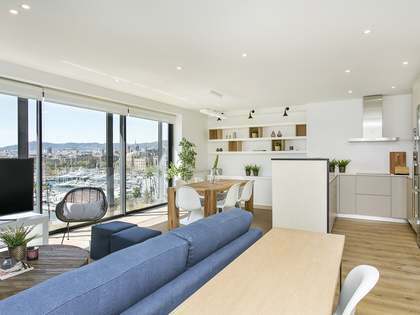 Beautiful apartment on Ferran Agulló, with high quality finishes, equipped and furnished. Ideal as a private residence and office. 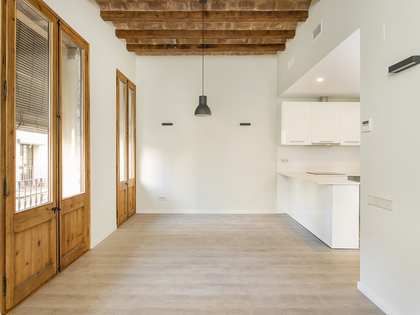 This spacious and distinguished property on Carrer Ferran Agulló, next to Turó Park, originally 2 properties that have now been joined, would be ideal as a large home or as a home and office. Upon entering the apartment we find a hall and on the right there is a spacious living room with 2 windows and a balcony overlooking Ferran Agulló. 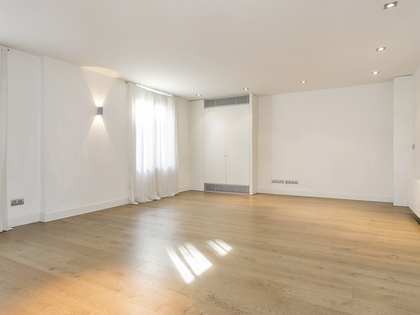 This room has wooden flooring and connects with an office with sliding doors that could be used as a double bedroom. Next to it there is a complete bathroom with a shower and another double bedroom or additional room, in this case with a window to the patio. From the living room you can access the beautiful Santos kitchen with a dining and island area with Carrara marble. It comes equipped with the best quality appliances, with a sink area, an extractor hood, a Gaggenau hob and grill and a Smeg refrigerator. Furthermore, it has many cupboards and a beautiful display cabinet. Next we find the utility area, with Miele washer and dryer. The family area consists of a small room with a window to the patio, a large and open living-dining room with a nice damask sofa by Roche Bobois and a dining space with windows to the interior area. This room enjoys plenty of light. Finally we find a splendid bedroom suite with a wooden canopy bed, a large dressing room and a bathroom with a bathtub, with a separate shower, toilet and bidet. 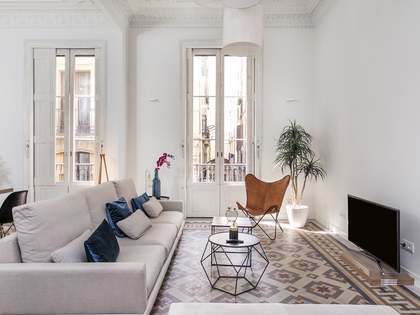 This cosy home enjoys air conditioning, gas radiators and wooden flooring, in a magnificent location next to Turó Park and close to Avinguda Pau Casals. 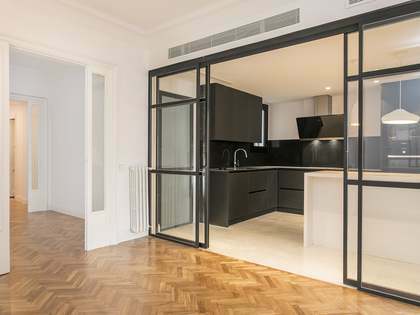 Apartment located on Carrer Ferran Agulló, next to Turó Park and near Avinguda Pau Casals. 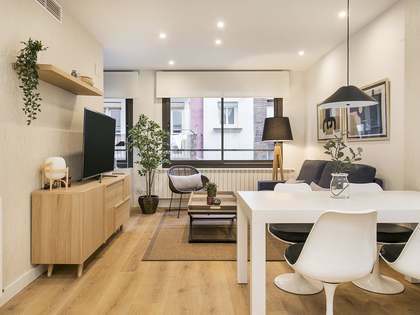 It is a highly coveted location in the Zona Alta of Barcelona, close to all kinds of services, such as shops, restaurants and public transport. It is also close to international schools.